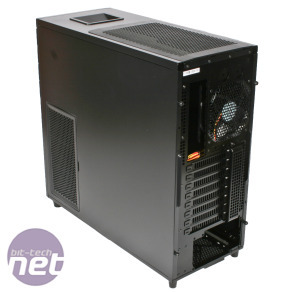 Silverstone's Kublai KL04 chassis might look like many other cases - not least the Corsair Obsidian 550D, which we recently reviewed - but there's no denying it's a classy-looking enclosure. 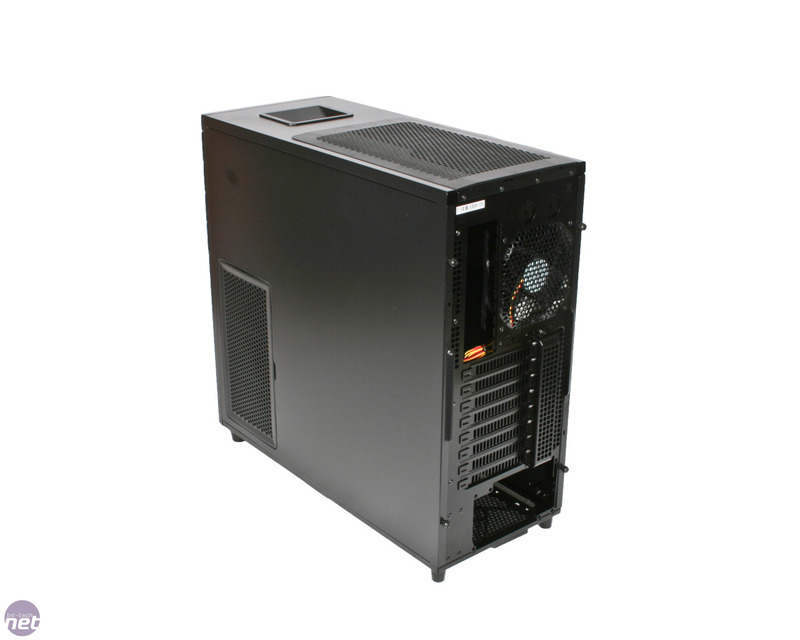 The matte black finish lends the Kublai an air of class that plastic and mesh-covered cases can't match, and the minimal drive bays, power lights and lack of finery make for an understated design. The minimal looks are matched with sensible, well-considered design throughout. The front I/O panel features the standard pair of USB 3 ports, attached to a motherboard connector, and are recessed in a neat area alongside stereo and microphone jacks. The fan filters on the bottom and side of the enclosure are guarded by plastic dust filters that easily slide out for cleaning. 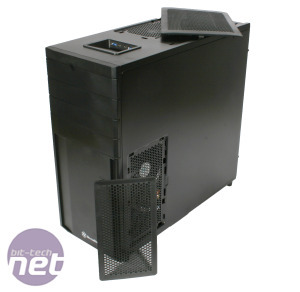 At £84 inc VAT the Kublai is cheaper than the £100 Corsair and a little more expensive than the £77 Cooler Master CM 690 II Advanced, but build quality is reasonable throughout. The Kublai is made from rigid steel and sturdy plastic, and weak points are few and far between: there's just a little give in the flimsy bottom of the enclosure, and the power and reset buttons aren't quite firm enough for our liking. Unusually, there are no fan mounts at the front, but Silverstone has provided plenty of cooling elsewhere. 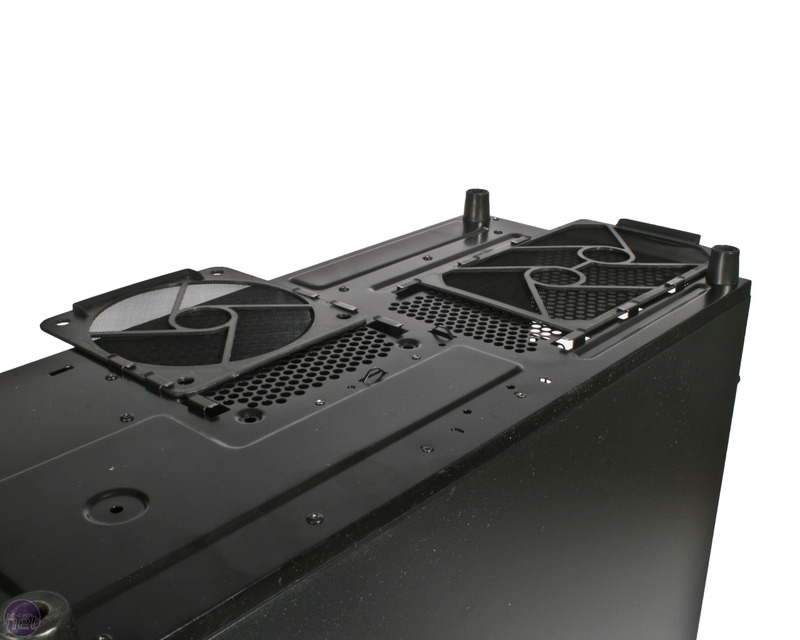 There are two 120mm fan mounts positioned on the right side panel, opposite the hard drive cage, and another two fan mounts at the top of the chassis. 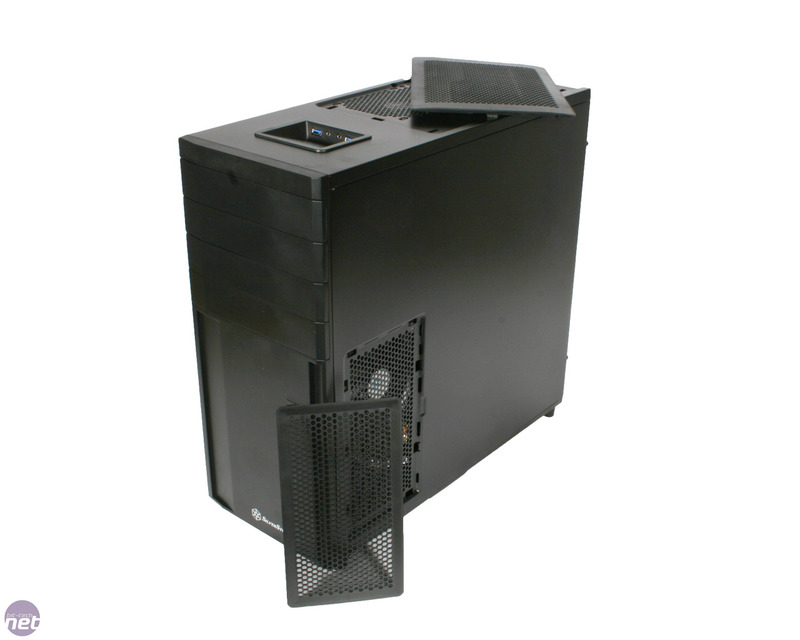 The single 120mm mount at the rear is occupied with a 120mm fan. Two others are provided; one in the roof and another on the right side panel. The bottom of the chassis features room for another 120mm spinner. One area where Silverstone hasn't paid much attention, though, is noise reduction. There's no sign of sound-absorbing foam on the interior of the machine, and none of the rubber pads that are sometimes found on hard disk cages or PSU mounts. The fans are connected by traditional metal screws rather than rubber plugs, too. 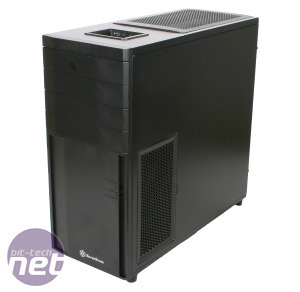 However, Silverstone has been generous inside the box, including a 90 degree SATA cable, a USB 3 to USB 2 connector, a converter for using 3.5in fan controllers and peripherals in one of the Kublai’s 5.25in drive bays, as well as an adapter to install a 3.5in hard disk in another one of those 5.25in bays. Company's cheapest Carbide case yet. 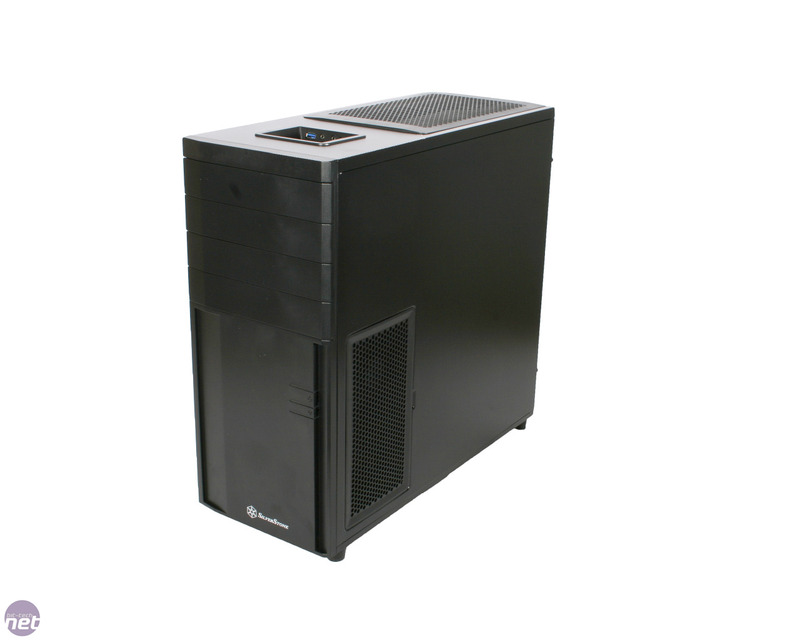 With clever noise-reducing features and great looks, is this your next case?